It really is sad. Especially when you consider what is going on in the world and with laws being passed. You actually have to "search" for the latest and greatest because the majority of the stories are just celebrity gossip. How does trading pure NP above 800k work? Secret Lab is being weird again..
Do you guys Bagatelle/Coconut shy? Ever since I got the avatar for Coconut Shy, I really haven't played. It seems easier to buy the coconuts separately. How do you make your $$$'s? I try to make 15K a day in games. I also aim for 100K a day in Habitarium. Finally, I get about 3K in interest daily. Way to go! 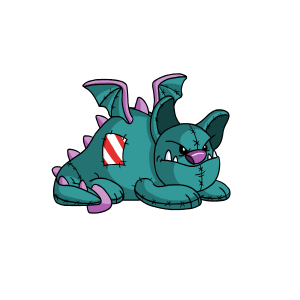 In the past 6 years of Neopets, I think I only beat the game twice. Very random and very annoying. Perhaps I should start playing it again. This would be the ultimate Christmas gift and chances are it won't happen without a tremendous amount of work on my part, but I would LOVE to have an uncoverted Plushie Skeith. I think they are just awesome looking and I can kick myself for not investing in a plushie paint brush when I had the chance. Note: This can not be equipped as a weapon (at least for now). Lever of Doom Avatar Help Please! I think it took over 15K before I got the avatar. Since I can't seem to find a 2011 stocking guide, should I use this thread or create a new one? Wishing Well Avatar Solution Found! Thanks for posting how the solution was found, Alice. I tried several methods myself, but I was leaning towards random NP at the Wishing Well and a specific phrase to enter in order to trigger it. Example: I wish for the hidden avatar. @Mysterion - Ooooh! Good idea. Now that my challenges are complete, perhaps I should try and make a dent in them by attempting to knock out another thirty or so games tonight. That will make next week a lot easier. Labyrinth is one of my favs. I started signing "Dance Magic Dance" the other day at work and everybody was looking at me like I was crazy. Me: You remind me of the babe. What babe? The babe with the power. What power? The power of voodoo. Who do? You do. Do what? Remind me of the babe! Tricky. Nothing on the trading post, wiz, auctions, or search. FYI I was offered between 8-9M for the stamp. I'm not sure if I should use it or sell it. For now, I'm just going to hold on to it. I would LOVE to complete the Lost Desert Stamp album. Games Master Challenge: Brains vs Brawn Begins! So for the exchanges (or just to be nice), we just simply give away things we purchase with our resources, correct? Today I did left, left and right. Look what I got! Now here is the fun part. Does anybody have any information on the stamp? So far, I can't find it anywhere on the trade boards or the item wizard. quote: You can't fight the moonlight! I just realized that a Pirate Ixi Potion was one of your goals on your look up. Way to go! !